After the death of his wife, a man, along with his son, look for a change of setting in the hopes it will help them with their grieving process. Once relocated across the country, they each begin a friendship with a different woman that may help them embrace life again if they can move beyond the past. Losing someone is one of the hardest things ever. The closer you are to the person, the harder it is. "The Bachelors" deals with the loss of a wife and mother and how her husband and son must find a way to carry on with their lives after her death. The film is written and directed by Kurt Voelker and offers a heartwrenching, honest look at grief and how hard it can be to move past it. The film stars J.K Simmons and Josh Wiggins as Bill Ponder and his son Wes. The death of their wife/mother has been a devastating blow and has hit Bill particularly hard, as one would expect. To try and help them move past their pain, Bill takes a job across the country and looks for a change of setting in order to move on. Only if it were that easy. Also in the film are Julie Delpy and Odeya Rush as Carine and Lacy, the new love interests of Bill and Wes. "The Bachelors" is a touching, honest, and heartfelt film. J.K. Simmons is brilliant as Bill and offers a truly amazing performance that shows the grief and depression the loss of a loved one can have on an individual. We see his character's desire to move past this sorrow. We want him to be better. He sees a psychiatrist who seems to look for chemical and physical solutions with pills and shock therapy, and he blindly agrees because he hopes it will cure his melancholy. Simmons really reveals the hurt that exists deep below the surface and how numbness to all else tends to bubble up in the face of such a tremendous loss. He shows the tendency to close one's self off from others who want to help and help us move on. The rest of the cast is really good as well, though they are overshadowed by Simmons's brilliance. Julie Delpy always does a great job in everything she's in, and Josh Wiggins, who we saw in 2015's "Max," gets a few shining moments of emotion that brought us to tears since he is dealing with the loss of his mother alongside his father's loss of a wife. This film moved us massively while watching it and brought us to sobbing tears at one point. Maybe it is because we can relate to Bill and Wes's journey in some small way. In the end, some people may think this film is too familiar and too overly dramatic, but we can say from experience, it's really not. 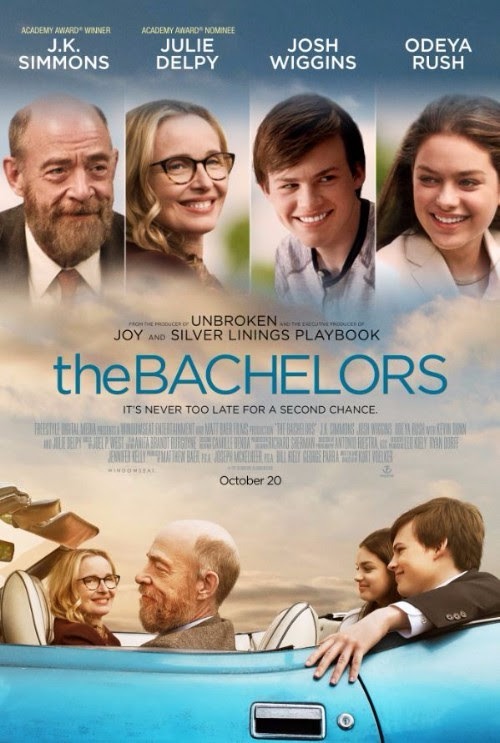 We highly recommend seeking out "The Bachelors," even if it's just to see J.K. Simmons's award-worthy performance.